Opentec Systems LLC has been in business for more than 20 years providing Technology solutions. Our solutions includes: Enterprise Data centers - Dell, Network Security � Watchguard - Cisco, AVAYA Communications Solutions, RTE Full page Passport scanners, Airports Solutions � FIDS, L-DCS, and Transition Media Converters. Dell is a multi-national technology organization, and is one of the world's top suppliers of PCs, Notebooks, Servers and Storage; the company offers a broad range of technology products for the consumer, education, enterprise, and government sectors. 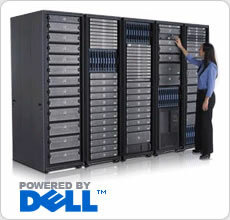 In addition to a full line of desktop and notebook PCs, Dell offers network servers, data storage systems, printers, Ethernet switches, and peripherals, such as displays and projectors. Dell also markets third-party software and hardware. Recognized for its ability to provide customers personalized, built-to-order technology via direct, online and retail channels, nearly 80 percent of Dell’s $54 billion in revenue is driven by enterprise products, services and solutions it delivers to businesses and organizations. Dell’s employees worldwide are deeply committed to corporate responsibility. The company ranks among Working Mother Magazine’s 100 Best Companies and ranked second among Newsweek’s Greenest Big Companies in America. Dell promotes an environment that prospers on innovation. Dell focuses on essential standards that drive future technology innovation, by delivering effective solutions that meet customer challenges. The company's growing services unit provides asset recovery, financing, infrastructure consulting, support, systems integration, and training. Copyright � 2019. Opentec Systems. All rights reserved.